The two-bedroom Rydon Stables is a masterclass in how to create top quality family accommodation with clean, contemporary style. 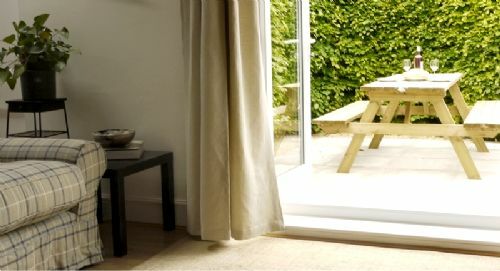 It’s not surprising really because the cottage is a labour of love for owner Gill Barlow who has previously been a Gold award- winner for the best self catering business in the England Awards for Excellence. To begin with, the location is great for families. Rydon stables is in the pretty village of Otterton, just a five minute stroll from a pub, playground and interesting working mill. 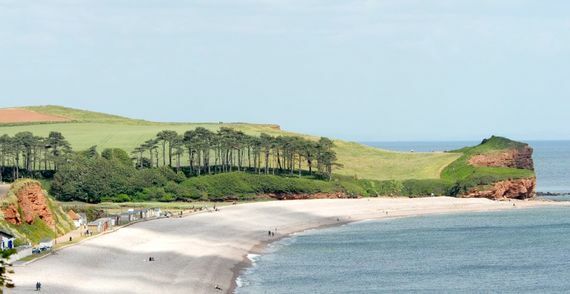 There’s also a lovely, pushchair friendly riverside walk to the seaside town and scrunchy shingle beach at Budleigh Salterton, on Devon’s Jurassic Coast – so be prepared for picnics and fossil hunting! Gill has combined the character of original features with sleek contemporary design and kitted out Rydon Stables with all the high spec mod cons a family needs. 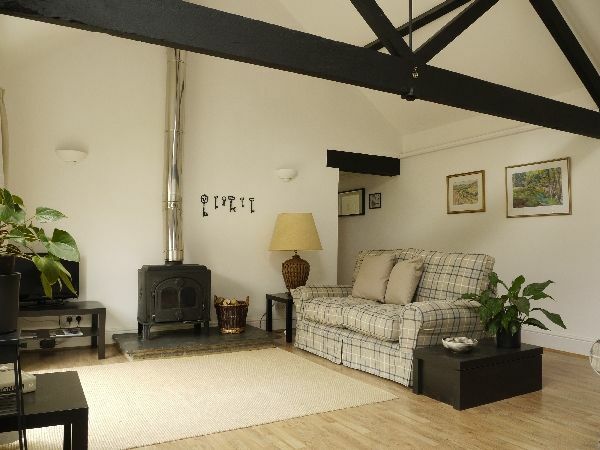 The large sitting room, with an exposed beam ceiling, offers plenty of space for playing and when the weather’s fine everyone can spill out through French doors onto the south west facing patio and grass garden, complete with BBQ and furniture for eating al fresco. For family nights in, there are also comfy sofas in front of a wood burning stove, flat-screen Freeview TV, wi fi, ipod dock, games, books and dvds. The super sleek, modern kitchen is in striking black and white with a dining area which leads back into the lounge. The beauty of this flowing layout means you can be close enough to keep your eyes on your youngsters without them being under your feet! On the same floor, the bedrooms have feature walls and crisp linen, while fluffy towels and REN toiletries are provided in the power-shower room. Both Tesco and Waitrose can deliver groceries on your arrival and, for a grown up treat, Michael Cain’s 2* Michelin Restaurant, The Trencherman’s Guide, is also nearby and a local baby sitter can be arranged. 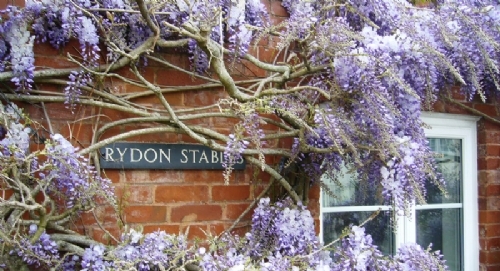 Rydon Stables has two bedrooms and a travel cot can be provided in either. One of the rooms has a king size bed and the other has luxury twin beds. 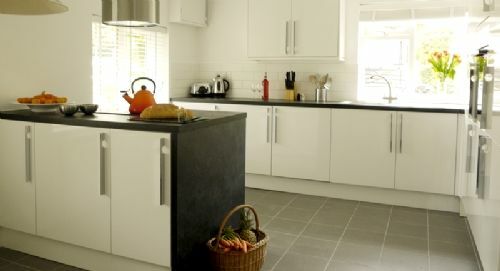 The kitchen includes a top quality oven, hob, fridge, freezer, dishwasher, microwave and washing machine, plus extensive utensils, white crockery, stylish cutlery and glassware. A baby bath and high chair can also be provided. 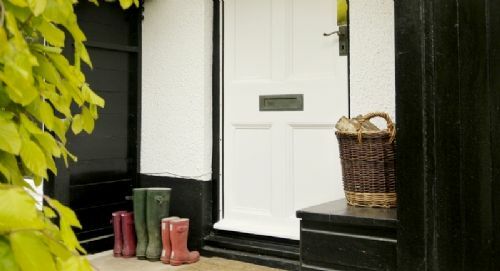 A country porch and covered outdoor area are handy for kicking off muddy wellies and storing caboodle from push chairs to body boards. There is off road parking for 2 cars. 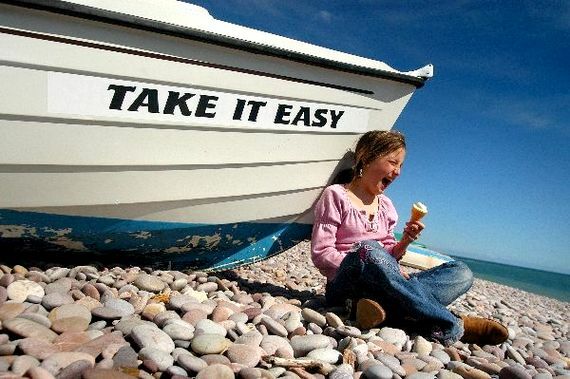 Rydon Stables enjoys a very child friendly setting in the quaint village of Otterton, 2 miles from Budleigh Salterton on Devon’s World Heritage Status, ‘Jurassic Coastline’ and in the East Devon Area of Outstanding Beauty. The village has a traditional inn serving good food and real ales, plus the Otterton working Mill is an eclectic mix of crafts, artisan bakery, Devon food shop, café, restaurant, art gallery and jazz concert venue. 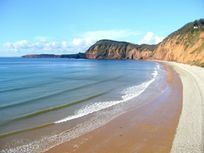 Otterton even boasts one of the sunniest, driest climates in Devon! The River Otter runs through the village and there are walks up and downstream which are perfect for picnics, watching out for otters, kingfishers and avocets along the way. An easy, pushchair friendly riverside walk also takes you into Budleigh Salterton (less than 2 miles) with a quiet beach, cafes, shops, galleries and excellent restaurants for sampling succulent local seafood. Bicton Park lies 1 mile to the west and is a great day out for the whole family with beautiful gardens, lake, indoor play area, museum and train rides through the woodland. Nigel Mansell’s Woodbury Park is 1 mile north, featuring golf, a spa, gym, pool and F1 museum. 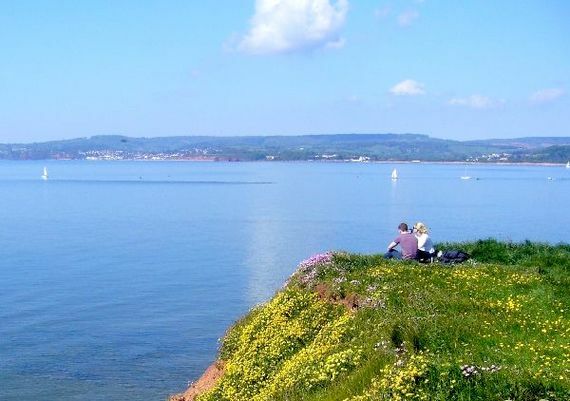 There are water sports, swimming pools, river cruises and fishing trips at Exmouth or you can hires bikes on Exeter quay and canoes to explore the River Exe. Tram rides are available on the Seaton Tramway and Pecorama has miniature train rides and a fab miniature railway exhibition. The Donkey Sanctuary is always a family favourite and is free, with hundreds of rescued donkeys in an idyllic setting with lovely walks. Devon food is always hailed as some of the best in England and local producers worth checking out include Sharpham cheeses, Pebblebed wines, Devon Ruby beef, Otter Ale, Darts Farm Shop, Riverford and Hugh Fearnley Whittingstall’s River Cottage. Don’t miss buying some fresh fish from the local fishermen for an evening barbeque. Gill Barlow has been in the self-catering business for 20 years and has won many awards for the best self catering business in England. The priorities have always been the same - high quality, good value accommodation in the beautiful Westcountry, for the customer's comfort. Gill has a great in-depth knowledge of the Westcountry - just ask if there is anything you need to know about! This Area of Outstanding Natural Beauty, together with the Jurassic Coast make this one of the most sought after places to live and to visit. We are passionate about it and we want you to enjoy it as much as us! 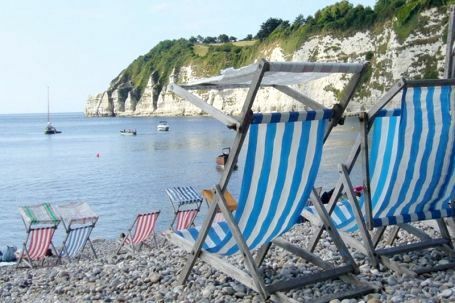 Coast & countryside make it a perfect family holiday destination. and close to quiet Budleigh Salterton, yet easily accessible to bigger resorts with lots of action! Sleeps 4 plus infants in 1 double and 1 twin bedroom. The cottage is within 25 minutes of Exeter airport. The beach is just 5 minutes away by car. There is a village pub, serving traditional food and good local real ale just a short stroll away and Otterton Mill which offers an eclectic mix of crafts, artisan bakery, Devon food shop, café, restaurant, art gallery and jazz concert venue. A local babysitting can be arranged. 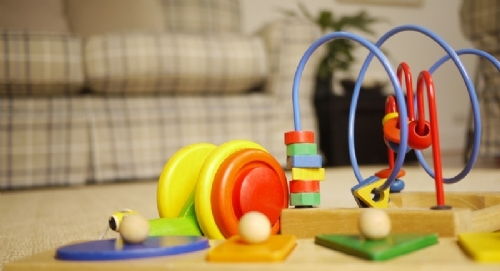 Baby gear provided at this baby-friendly cottage includes; 1 travel Cot, a highchair, baby bath, baby monitor, socket covers, plastic crockery and cutlery. This child-friendly cottage has bath toys, kids books, general toys and a selection of U-rated kids DVDs. A pre-arrival shopping service from Waitrose and Tesco can be arranged. There are buckets and spades provided for trips to the beach. There is a gated garden with grass for little ones to play on and a dining patio. We had a wonderful stay - exactly what we were looking for in a great location! 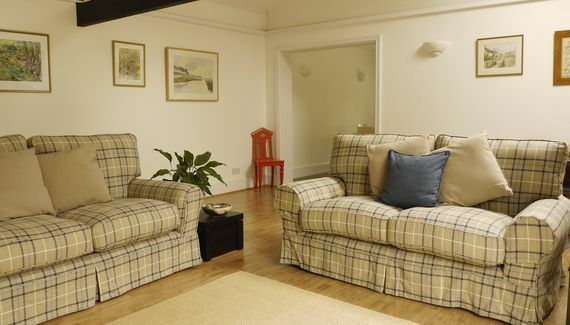 The cottage is very well kitted out, very comfortable and ideal for staying with a baby. We spent a lovely week at Rydon Stables. I was doing a painting course nearby, my partner went off fishing some days, and our 17 month old son spent an idyllic week with his grandparents. He loved playing on the nearby beaches, riding on the train and playing in the adventure playgrounds at Bicton Gardens, having tea at the Mill, walking along the river, and just chilling out at the very comfortable cottage with the toys and children's DVD/books provided. We even managed to make it out one evening to sample one of the many great restaurants in the area. We only wish we had had more time there to visit many more of the attractions nearby..
We loved the property and will almost certainly return in the future - the property sits in a beautiful country location in a picturesque village. Very easy journey by car to a number of sand or pebble beaches, and many other places to visit within easy reach. 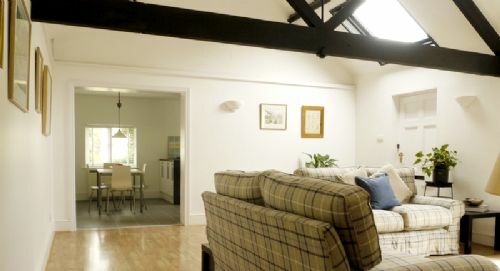 The accommodation is well organised; the single level, open-plan nature making it ideal to keep an eye on young children whilst cooking dinner etc. The kitchen is also appointed to a high specification, so cooking is a pleasure here. The bathroom does not have a bath, but a large shower is sufficient, assuming you don't mind getting wet when bathing the under-5s! We have 2 boys (4 and 1). Very highly recommend the property. This is a lovely location and the property is great for young ones because all on one level (no worries about stairs)! The owner had left a handy 'Top 10' list of things to do so it was easy to choose what to do every day. Had a great week in July at Rydon Stables with our 13 month old daughter. The accommodation is great - kitchen well stocked with all you'll need to cook a feast, seriously comfy sofas to relax of an evening, and great garden for a little one to happily toddle around in. Location is great - silent as can be for a great night's sleep - but with great nearby Mill for breakfast and cakes, and lots of great places to head to for things to see and do. Can't fault the place and hope to return again soon with baby no. 2 in tow!